High-speed motorcycle chases, restroom-based hand-to-hand combat using a sink pipe, helicopter duels slicing through narrow snow-covered canyons and an endless supply of high-tech spy gadgets — just a typical day in the life of Ethan Hunt and the rest of the crew from the Impossible Mission Force, or IMF. 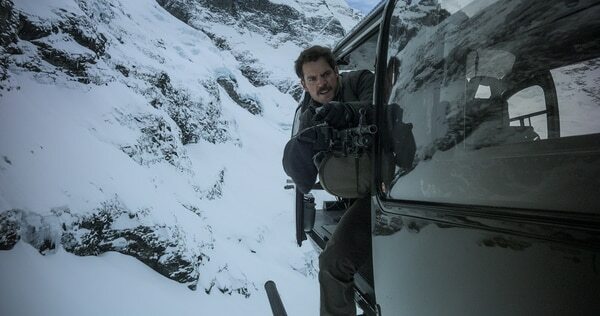 Since its release in theaters a couple weeks ago, “Mission: Impossible - Fallout” has been overwhelmingly praised — critics have given the film a 97 percent rating on Rotten Tomatoes — for delivering the type of unparalleled, hypertension-inducing action viewers have come to expect from the hit franchise, now on its sixth film. During the filmmaking process, director Christopher McQuarrie, who’s worked with star actor Tom Cruise on other hit films such as “Mission: Impossible - Rogue Nation,” “Edge of Tomorrow," “Jack Reacher” and “Valkyrie,” enlisted the help of his brother, Doug, a former Navy SEAL, as a tactical consultant to ensure the most accurate depiction of weapons use cinema can provide. DOUG: The training I received has translated to film very well in more ways than one. I learned to train people in the military quickly, safely and effectively, which translates to the movie business very well. But I also use my experience to help my brother work out scenes, choose locations and add details. Living a life of 12 hour-plus days, six days a week, traveling around the world and contending with all sorts of weather conditions — it is very much like the life I lived in the military. What weapons were used and what actors did you advise during the filming of “Fallout”? DOUG: I advised on a variety of handguns, rifles, an anti-tank weapon and, of course, the belt-fed machine gun from the helicopter chase scene. I also advise the web gear, plate carriers and how they are worn. I even had some input on wardrobe worn around the military base and the aircraft. 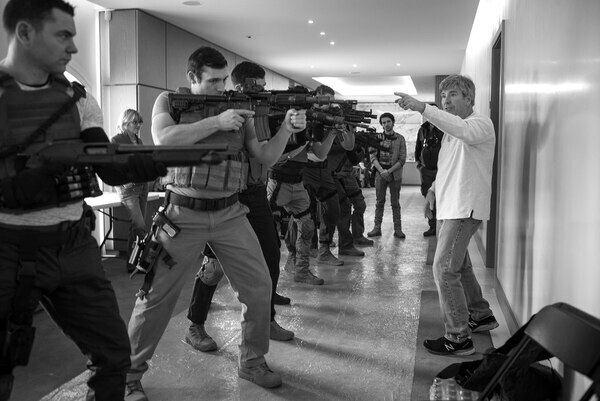 I get involved with any of the star actors anytime there is a weapon in the scene, and work with the armorers and Chris to either determine the types of weapons that will be used or to train the actors to handle a specific weapon. This is the fourth time I have worked with Tom Cruise, and I also work with the extras to look appropriate for a part. The color contrast of tracer rounds ricocheting off the snow-covered canyon walls during the helo chase was a stunning sequence of visuals. 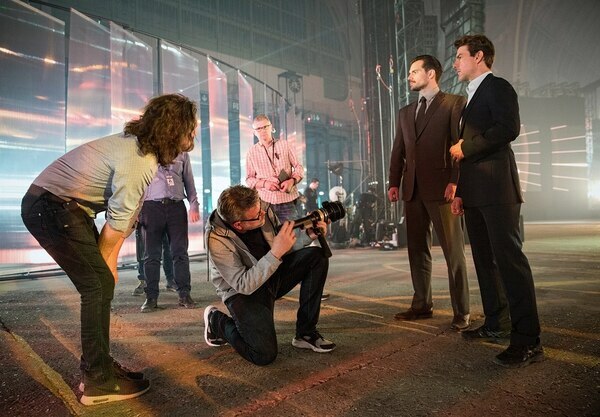 Did you have some input on how that scene was shot and advise Henry Cavill on handling the gun? DOUG: Chris had the vision for the scene and I worked with Henry and the stunt team to prepare for the rigors of hanging outside of the helicopter and firing. It was winter in New Zealand when we filmed and it was cold enough just standing on the ground, let alone when Henry was hanging outside the pitching helicopter firing his weapon. I also worked with the computer graphics team and the editor to give them an idea of what tracer rounds looked like and how the flight of the rounds is affected by being fired from a helo and ricocheting off of rock walls. CHRIS: The sequence I showed to Tom early on was the helicopter versus biplane chase in “Capricorn One.” I have a newfound respect for how they did that with the equipment they had then. It’s an astonishing piece of filmmaking. How was working with (or managing) a cast — Tom Cruise, Henry Cavill, Simon Pegg, Alec Baldwin, Rebecca Ferguson, Angela Bassett, Ving Rhames, Michelle Monaghan, Sean Harris, Vanessa Kirby, to name a few — with such diverse talents and portfolios? CHRIS: It’s an embarrassment of riches, really. They are each especially talented in their own way and I’ve developed unique relationships with all of them. I couldn’t say one is more special than the other, but I can tell you Alec Baldwin is the funniest and I’m sure the rest would agree. He’s a gifted storyteller and endlessly entertaining. If you could choose, what military story would you love to tell or to see told through film? CHRIS: I’m not afraid to admit I’m obsessed with World War II and have been working on several projects [about it], my favorite of which is “The Last Mission,” the story of the last night of WWII in the Pacific. It depicts the true story of the last B-29 raid over Japan five days after [the atomic bomb in] Nagasaki. It’s intercut with a coup in the emperor’s palace, an attempt to stop Hirohito from ratifying the surrender. The ticking clock is the countdown to the imminent allied invasion of mainland Japan, which will result in millions of casualties. It is the story of how good men of character on both sides, aided by a fantastic twist of fate, were at least as instrumental in ending the war as the atomic bomb. It is, for my money, the greatest untold story of WWII and was written as a sister piece to “Valkyrie.” I had the honor of getting to know Jim Smith, co-author of the book and a B-29 radio operator who flew the last mission over Japan two weeks before his 21st birthday. I’ve committed myself to one day telling his story. DOUG: I read a book a few years ago called, “The End of Barbary Terror” about Stephen Decatur and the rescue of a U.S. merchant ship crew from pirates in northern Africa. It’s almost the same sort of geopolitical climate that the world is in today, and tells the story of how a young United States handled piracy and hostage negotiations by putting the Navy and Marine Corps in the Mediterranean Sea 200 years ago. We still patrol those waters today. If you had the chance to work with Tom Cruise again, what sort of film would you like to plug him into? CHRIS: We’re already tackling it. I can’t say what it is just yet, but it’s in the works. Tom and I would also love to do a western or a film set in the Roaring ’20s. Many thanks to Christopher and Douglas McQuarrie for taking the time to chat with Military Times. 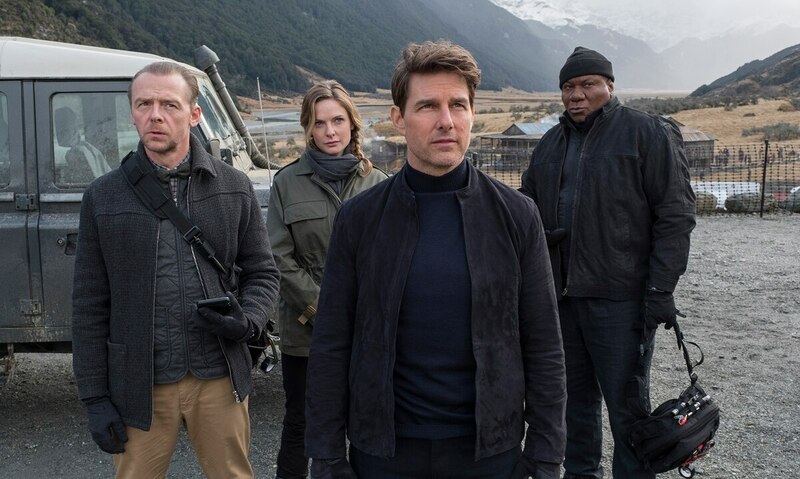 “Mission: Impossible - Fallout” is in theaters nationwide.